This is without a shadow of doubt, one of Microgaming’s most popular and successful online slot machines. 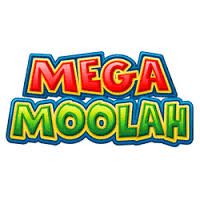 A progressive jackpot slot – perhaps the most played one of all time – Mega Moolah, is themed after an African safari, with many cartoon looking animals making the up the majority of the icons, set against a glorious savannah backdrop. The funky design and loveable attitude of this slot makes it an instant hit; and if that doesn’t do it for gamers, then the sheer amount of possible winnings they could pick up most certainly will. The Mega Moolah slot is played over 5 reels and contains 25 paylines to play with. This slot isn’t just available in Microgaming Casinos, but any casino online that offers top progressive jackpot slots. The coin values vary from £0.01 to £0.05, with a total of 5 coins per line being permitted. This of course, makes the minimum wager a player can stake in this slot a measly £0.01 per line, per spin, with the maximum wager being fixed at only £6.25. This is fantastic news for this kind of slot machine game. There are six main African safari icons in this slot, and 5 typical high playing card/poker icons. The ace is the best of the latter, worth 150 coins for 5 accumulated on a payline. At the other end of profit scale, the lion icon is king, worth 15,000 coins if players bag 5 or more on a payline, although the elephant, wildebeest, giraffe, zebra and gazelle are also worth decent payouts too. This online video slot utilises a scatter symbol in its gameplay. The scatter symbol is a purple princess looking critter, offers coin payouts of 2x, 3x, 20x and 100x the total bet stakes, if 2, 3, 4 or 5 of them are found across the reels. The lion isn’t just a high paying icon; it is also the wild symbol in this slot. The wild symbol, will double a player’s win, when it is used as a substitute. The wild symbol can substitute itself for another other symbol on the reels, except for the scatter icon. There are four progressive jackpots that can be won in this online progressive jackpot slot. The progressive jackpot bonus round is triggered randomly, and the higher the player’s stake, the more chance they have of winning a large progressive jackpot. The mini-progressive jackpot cannot be any lower than £10, whilst the minor progressive jackpot has a default base of at least £100. The major progressive jackpot will guarantee a player at least £10,000. The biggest jackpot, the mega progressive, assures the player of at least £1,000,000 in prize money. Even if the player hasn’t managed to trigger one of the progressive jackpots (which occur randomly remember), they can still enjoy a whopping standard jackpot bonus. The standard jackpot is worth 75,000 coins. For the big progressive jackpots, the most that has ever been won on this online slot game is $5,500,000. Just think what you could do with that kind of cash, and it is all offered at random! The great thing about Mega Moolah is that players don’t have to be going for the big progressive jackpot to win massive amounts of cash in this slot. The inclusion of four progressive jackpots makes it very worthwhile playing, especially considering that you could walk away with one of the smaller progressives for placing a minimum wager. It doesn’t really come much better than that.